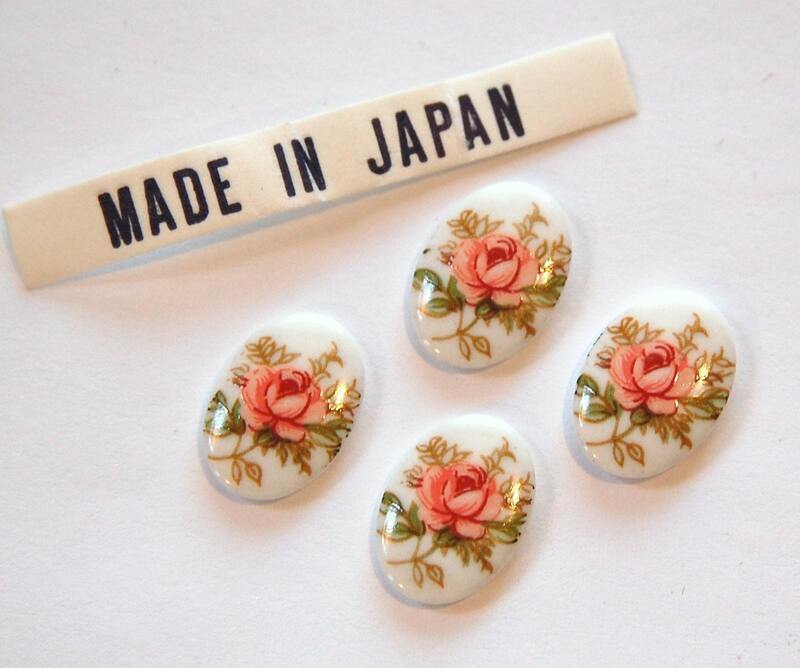 These are vintage glass cabs that were made in Japan. They are white glass with pink rose flowers. These measure 14mm x 10mm. You will receive 4 pieces. So pretty will enjoy using them. Very sweet item! Fast Shipping! Fast shipping and excellent customer service.